The General Duty Clause (Clause) of the Occupational Safety and Health (OSH) Act has been in effect since the Act was passed in 1970 and, therefore, should be an important consideration in employer worker safety and hazard reduction plans. But while most employers that are familiar with the OSH Act and federal and state worker-protection standards to implement the Act have heard of the General Duty Clause, the actual role of the clause—when and how it may be used in an enforcement action—may be unclear. OSHA’s Field Operations Manual (FOM), which provides OSHA offices and state plan programs with enforcement policies and procedures, contains a detailed discussion of the General Duty Clause, the function it plays in worker safety, and some of the challenges OSHA faces in developing a strong case that a violation of the clause has occurred. That brief statement is an example of less meaning more, much more, and has been the source of considerable uncertainty. Enforcement of the Clause over the years has been a complex matter that differs substantially from enforcement of specific OSHA standards. In fact, while the Clause may be applicable in instances where workers are injured, OSHA’s inspectors (called Compliance Safety and Health Officers, or CSHOs) are, reportedly, sometimes reluctant to make use of it because it can be difficult to satisfy the four criteria that must be met to make a strong case under the Clause. According to a 2016 report by the Government Accountability Office (GAO), the difficulty of building a case under the Clause is apparent in OSHA’s investigations of incidents of violence against workers in healthcare facilities. While attacks against workers appear to be inherent in health care and there have been many calls to OSHA to issue a standard, OSHA has not done so. (In 2018, California became the first state to require all healthcare facilities to implement protective measures for workers who may be victims of violence.) This is exactly the type of situation that the General Duty Clause was written to address—a distinct hazard in a specific workplace for which no federal standard exists. Moreover, OSHA has become acutely aware of this particular hazard; the GAO found a high number of OSHA inspections of workplace violence in healthcare facilities. Yet, the resulting enforcement of violations of the Clause has been relatively low. “From 1991 through October 2014, OSHA issued 18 General Duty Clause citations to healthcare employers for failing to address workplace violence,” said the GAO. “These citations were issued in about 5 percent of the 344 workplace violence inspections of healthcare employers that were conducted from 1991 to April 2015.” The GAO adds that the trend began to change in 2010 since 17 of the 18 citations were issued from 2010 through 2014. While OSHA’s enforcement of alleged violations of the General Duty Clause may not be frequent, OSHA is under constant pressure to make increased use of the Clause in workplaces where no specific standard addresses hazardous conditions. In addition to health care, the absence of standards for retail facilities where unruly crowds can harm employees or in workplaces where employees are exposed to extreme temperatures can lead OSHA as well as states with OSHA-approved plans to increase their use of the Clause. Importantly, employers should never assume that because a specific activity by an employer is not covered by a standard, they are not legally liable if an employee is injured or becomes ill because a hazard was present and not corrected. The following four criteria, which must be met to support an enforcement case under the General Duty Clause, have been established by OSHA’s Review Commission and court precedent (see, for example, Fabi Construction Company, Inc. and Pro Management Group v. Secretary of Labor). The hazard was causing or was likely to cause death or serious physical harm. OSHA’s FOM, which instructs CSHOs in how to apply the Clause, provides insight into why enforcement of the Clause may be difficult. The occurrence of an accident/incident does not necessarily mean that the employer has violated Section 5(a)(1), although the accident/incident may be evidence of a hazard. In some cases, a Section 5(a)(1) violation may be unrelated to the cause of the accident/incident. Although accident/incident facts may be relevant and must be documented, the citation must address the hazard in the workplace that existed before the accident/incident, not the particular facts that led to the occurrence of the accident/incident. For example, a fire occurred in a workplace where flammable materials were present. No one was injured by the fire, but an employee, disregarding the clear instructions of his supervisor to use an available exit, jumped from a window and broke a leg. The danger of fire due to the presence of flammable materials may be a recognized hazard causing or likely to cause death or serious injury, but the action of the employee may be an instance of unpreventable employee misconduct. The citation must address the underlying workplace fire hazard, not the accident/incident involving the employee. All the factors that could cause a hazard need not be present in the same place or at the same time to prove foreseeability of the hazard—e.g., an explosion need not be imminent. For example, if sufficient quantities of combustible gas and oxygen are present in a confined area to cause an explosion if ignited, but no ignition source is present or could be present, no Section 5(a)(1) violation would exist. However, if the employer has not taken sufficient safety precautions to preclude the presence or use of ignition sources in the confined area, a foreseeable hazard may exist. In other words, it is necessary to establish the reasonable foreseeability of the workplace hazard, rather than the particular circumstances that led to an accident/incident. The Hazard Must Affect the Cited Employer’s Employees. The employer that may have created, contributed to, and/or controlled the hazard normally may not be cited for a violation if its own employees are not exposed to the hazard. However, the fact that an employer denies that exposed workers are its employees does not necessarily determine the employment relationship issue. Whether or not exposed persons are employees of an employer depends on several factors, the most important of which is who controls the manner in which the employees perform their assigned work. The question of who pays employees, by itself, may not be the determining factor to establish a relationship. Employer recognition. For example, written or oral statements made by the employer or other management or supervisory personnel during or before the OSHA inspection may be evidence of employer recognition. Other evidence may be found in the history of prior federal OSHA or state plan inspections that involved the same hazard, employee complaints or grievances, or an employer’s own corrective actions. Industry recognition. Recognition may be established by implementation of abatement methods to deal with the particular hazard by other members of the employer’s industry, manufacturers’ warnings on equipment or in literature that are relevant to the hazard, and state and local laws or regulations that apply in the jurisdiction where the violation is alleged to have occurred and which currently are enforced against the industry in question. Commonsense recognition. 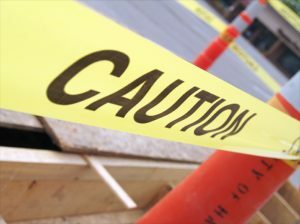 Hazard recognition can be established if a hazardous condition is so obvious that any reasonable person would have recognized it. This form of recognition should only be used in flagrant or obvious cases. This element can be established by showing that an actual death or serious injury resulted from the recognized hazard, whether immediately before the inspection or at other times and places; or if an accident/incident occurred, the likely result would be death or serious physical harm. The CHSO must identify the existence of a measure(s) that is feasible, available, and likely to correct the hazard. Evidence of feasible measures must indicate that the recognized hazard, rather than a particular accident/incident, is preventable. The FOM indicates that CSHOs must gather as many of the facts under each of the above criteria as possible to support a Section 5(a)(1) violation. From these requirements it is apparent that the work of establishing a violation of the General Duty Clause is more burdensome than would be the case under a specific standard; for example, the simple absence of engineering controls or personal protective equipment where an airborne contaminant exceeds an OSHA permissible exposure limit (PEL) would generally be sufficient to justify a citation for a violation of the PEL.